Nothing would have happened, if it were not for my friend Dominika. It was her who gave us a tip to check the extra cheap business class return tickets from Copenhagen to Azores for about 100 Euros. 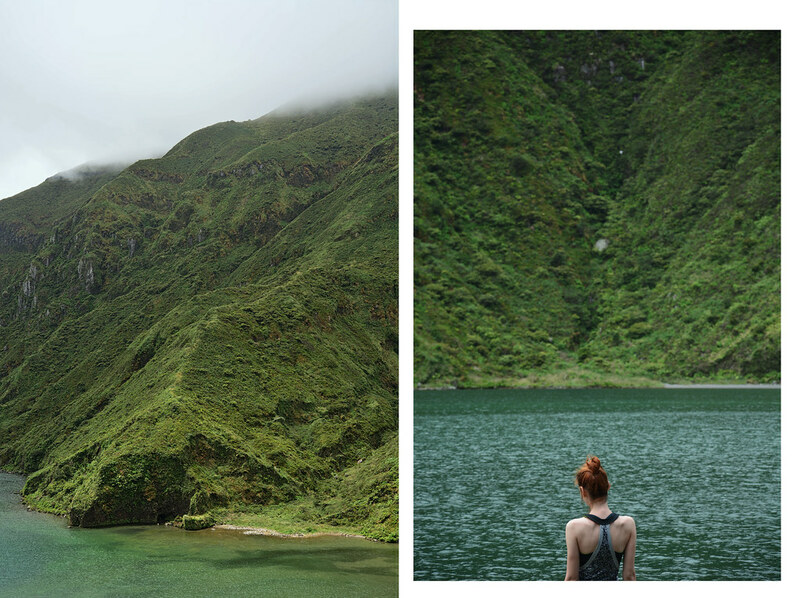 It was an opportunity we could not miss, so we ended up flying to Azores this July. 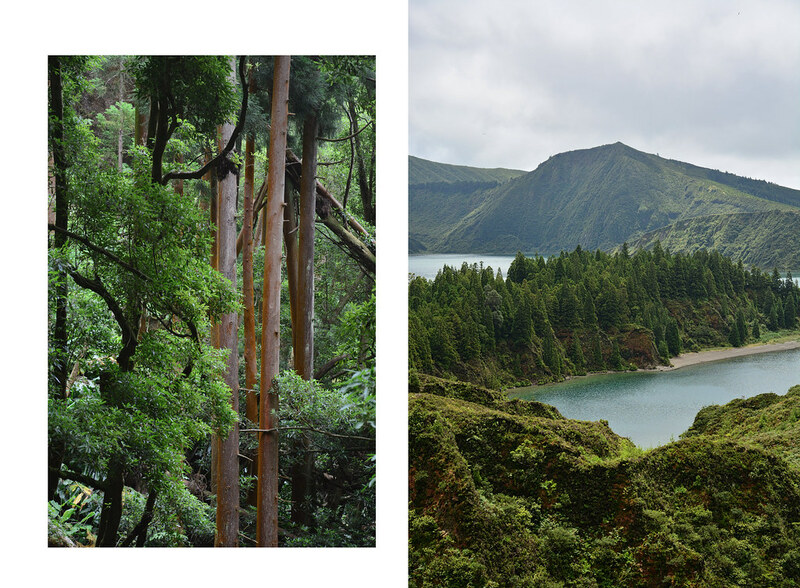 I was a bit afraid that our tickets will be cancelled (as it sometimes happens with error fares) and Azores will turn out to be a hiking-junkie paradise without any signs of civilization like avocado sandwich brunches or cafe latte. I imagined myself packing all sorts of supplies like canned food and pills for every imaginable disease we could catch. However, as usual, it was just me freaking out, Azores were just fine. 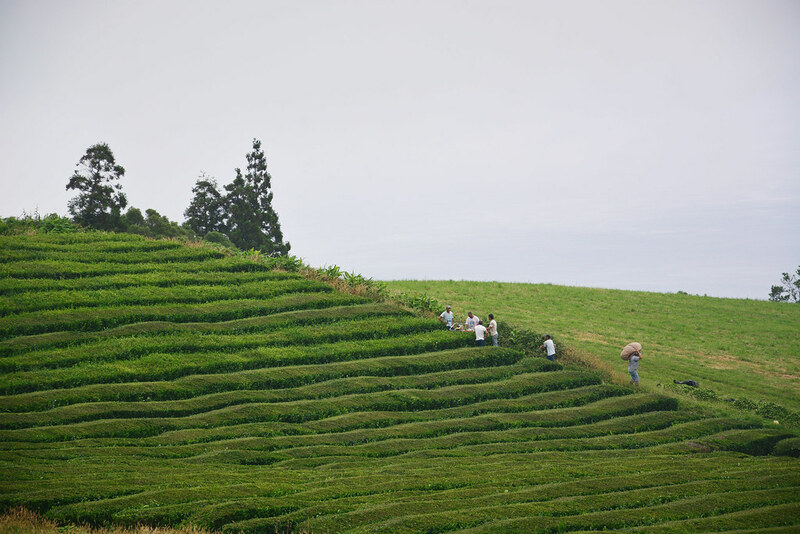 It's the Sao Miguel island which provides the highest level of services and also many sights. 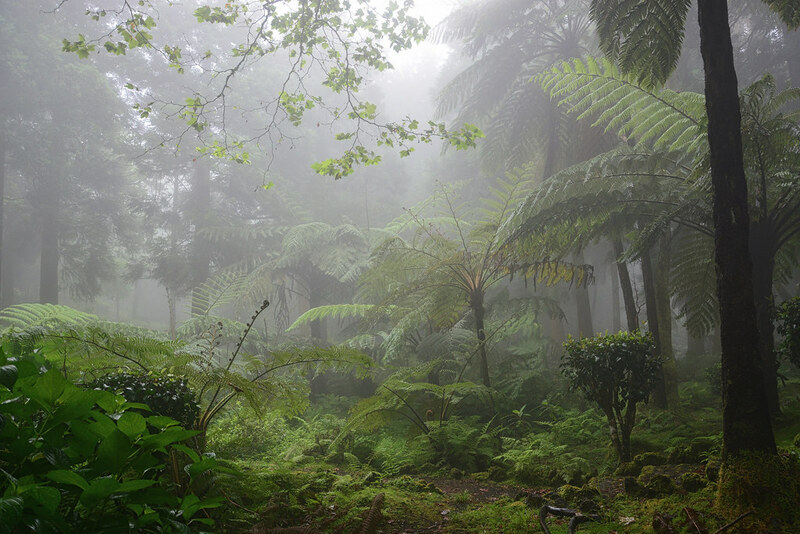 However, if you want to experience more adventurous side of Azores, full of weather swings, volcanoes, sandstorms and hacking your way through the jungle, I recommend visiting other islands, too. The best way to explore the islands, especially if you are short on time, is to rent a car (or hire a taxi driver/guide in 1 person). Most of the islands are quite small so you can get to the other side of the island in an hour or two, which is very convenient if one side is covered in thick fog or clouds, the other can still be full of sunny miraduros, piscinas and praias. We decided to use the Pico island as our base camp for the first leg of our trip. It is situated in the middle of the central group of Azores with an easy ferry connection to Faial and Sao Jorge islands. On our way back to Sao Miguel, where we spent the second part of our trip, we stopped by on Terceira, as it is almost along the way. Despite some online opinions praising Terceria as the most beautiful of the Azores islands, we were not particularly charmed. 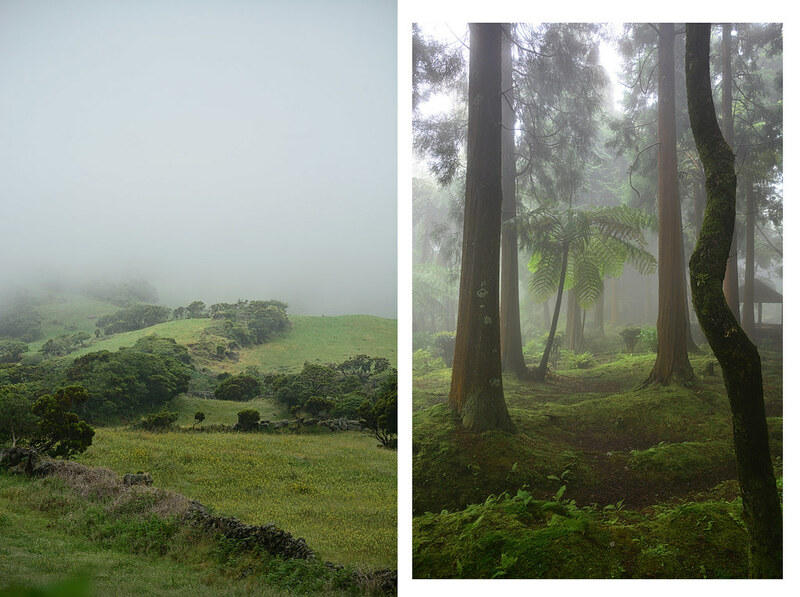 The most touristy island—Sao Miguel—is probably the best choice if you can only spend (less than) a week on Azores. 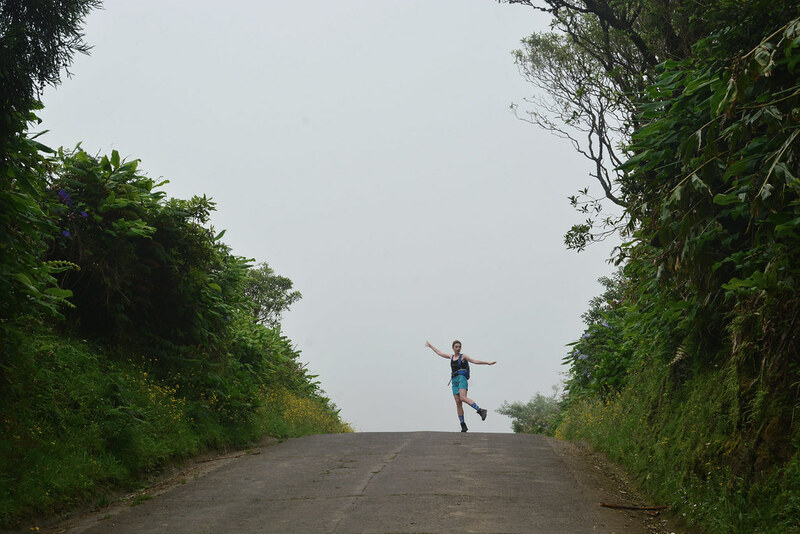 Nice shorter hiking trails, bathing in thermal springs, lakes or the sea, but also a bit of social life in the city, Sao Miguel provides it all. 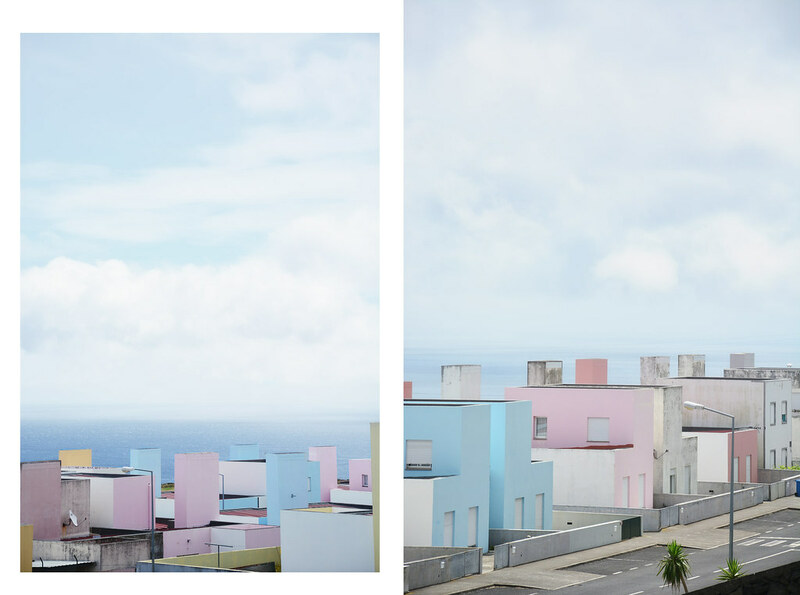 I'm a bit of an urban person myself, so after spending a week on the smaller islands, Ponta Delgada, having all the cafes and restaurants, looked as a true metropolis to me. Although it's true that nothing tastes better than a bun with a buttery spread at the end of a long hike. 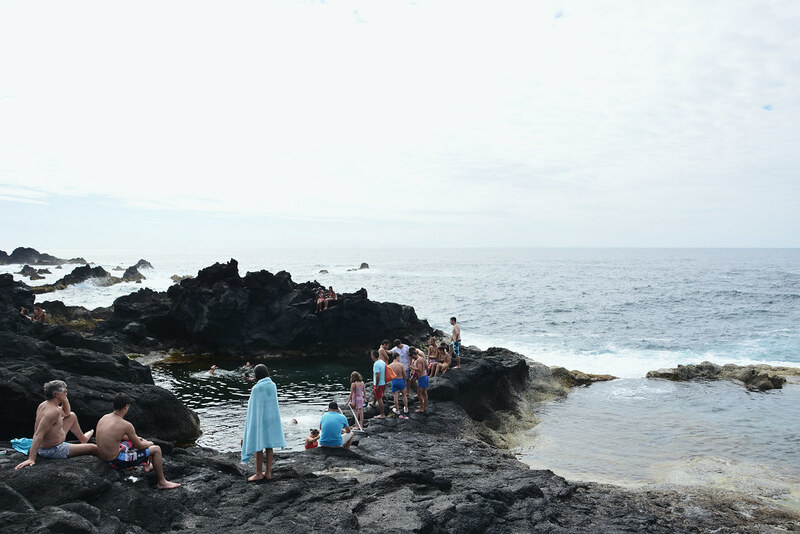 ⁃ Natural swimming pool with sea water (piscina) and a restaurant nearby, called Zona Balnear da Poca das Mujas on the south coast was a nice ending to the Calheta do Nesquim trail. There are a lot of nice picturesque villages along the coast, we liked Porto Das Baixas on the south and Sao Roque do Pico with Piscina do Cais on the north side of the island. 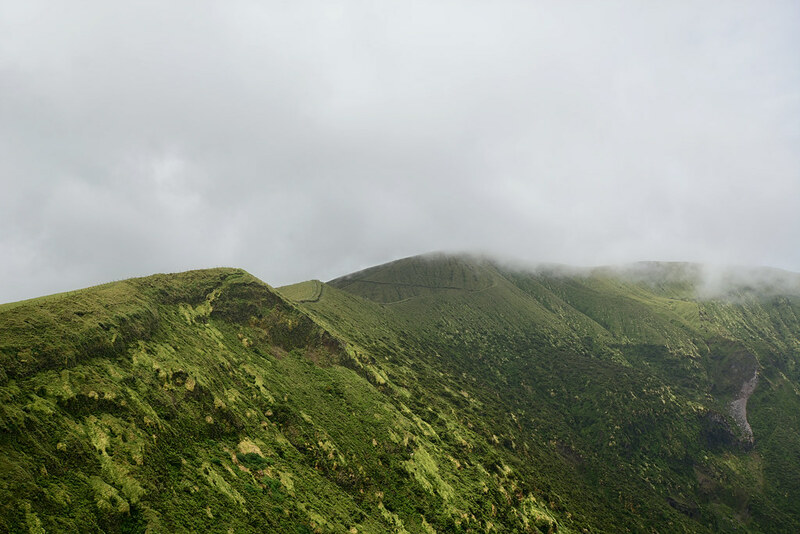 ⁃ Caldeira -- you can take a nice hike around the crater with great views, especially if Pico is visible. ⁃ Farol dos Capelinhos lighthouse and its surroundings. Nice museum mapping the recent volcanic eruption, great nearby piscina. ⁃ Extraordinary island with great trails towards villages with hardly any road access. We wanted to enjoy the great views from Miraduro da Vigia da Baleianear the Farol Da Ponta Dos Rosais lighthouse, but due to the heavy fog we could barely see a cow 3 meters from us peacefully chewing the green green grass. We got lucky on the other side of the island with great view from Miradouro da Faja do Ouvidor during our jungle hike on the north side of the island. ⁃ A nice bathing at Faja das Almas piscina. ⁃ Lots of trails are very fresh, since you can smell mint growing like weed in a lot of places. ⁃ You can find great thermal springs in Furnas: visit Poca da Dona Beija for a bit more natural feeling or Terra Nostra Hotel's thermal pool for something fancier (with a nice garden). Perhaps the most spectacular, though, is a thermal spring with a waterfall at Caldeira Velha not far from Fogo lake. 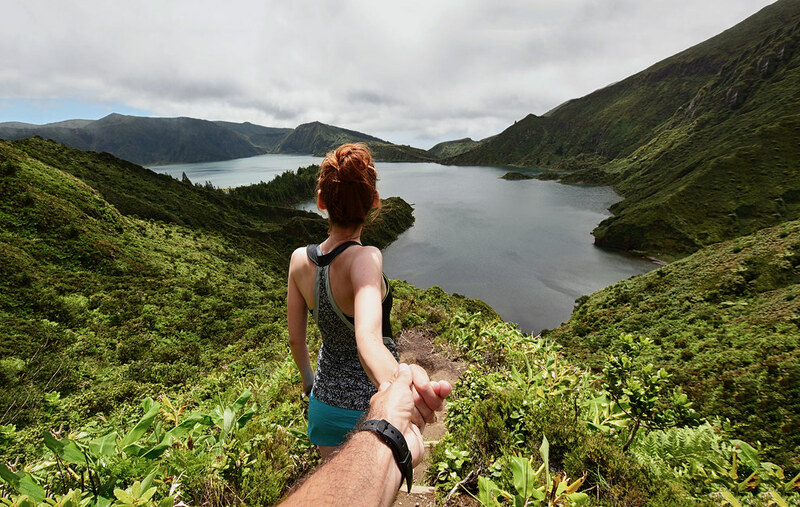 ⁃ A national park around the Fogo lake is also a great hiking place and there are a couple of beaches around the Fogo lake, which is a bit more chilly than the thermal pools, but certainly worth to take a dip in, since it feels like swimming in a tarn. ⁃ Perhaps the most popular viewpoints are situated around the Sete Cidades (e.g. Vista do Rei), a double lake in the crater with a village in between. You can rent bikes or canoes near the lakes and take a tour around the crater, too. 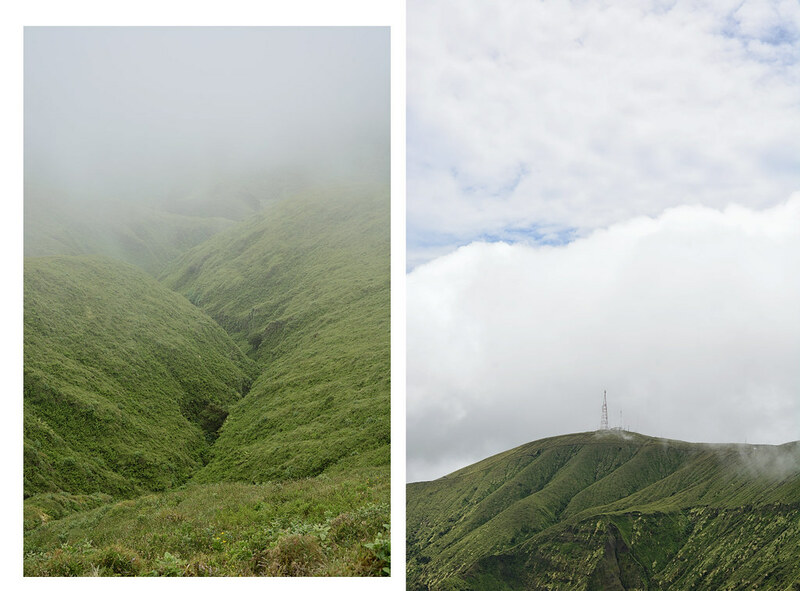 ⁃ Maybe it was the weather, but we somehow liked the viewpoints around the Furnas lake (especially Miradouro do Pico de Ferro) a bit more than the Sete Cidades ones. ⁃ There are viewpoints almost everywhere, we also visited Miradouro do Escalvado and Miradouro de Santa Iria. ⁃ Great natural swimming pools and beaches around Mosteiros, but you can find nice beaches also near Ponta Delgada, e.g. Praia do Populo. ⁃ Swimming with dolphins (we used Futurismo, first tried on Pico island, but saw almost no dolphins, so we got another chance on Sao Miguel for free). ⁃ A tiny island Illhéu De Vila Franca Do Campo ideal for snorkeling. We rented kayaks from Mariosup kayak rental and got there by ourselves, but you can also take a boat from Vila Franca do Campo. Rotas - ubergood vegetarian place in Ponta Delgada. We went twice and the food was delicious. Appetizer, main course, dessert, local beer Especial, everything was very good. During the season, there is no chance to get here without a reservation. A tasca - best fish restaurant we tried. Fresh fish of the dia, grilled every day. We also visited this one twice. Again, a reservation in advance is a must. Restaurante Caldeiras & Vulcoes vo Furnase - a bit uneven, but can be a pleasant surprise. Great risotto and meat. They can also prepare a local speciality - dish slowly cooked by the thermal steams (but you have to order at least 24hours in advance). There is no other place outside of San Miguel that I would particularly recommend. No brunch or coffee places, just lots of places full of Magnums and pastry shops. AZORES are a true gem hidden in the middle of the Atlantic ocean. A little bit like Hawaii (where I've never been), a little bit like Iceland. Great scenery, hiking trails, volcanoes, thermal springs, waterfalls. On top of that, you also get an ocean where you can actually swim, snorkel and kayak. You can even climb the highest peak of Portugal (Pico mountain, of course), which we skipped.. But we thoroughly enjoyed the trip nonetheless. In the end, it's not about the peaks. It's about the experience and the journey #motivationalposter #instantquote.